A bride walks down the staircase of the Bridal Manor of Stanbrook Abbey as her bridal party watches. Stanbrook Abbey is a stunning Worcestershire wedding venue that really has everything. Brides Manor, which joins the main Abbey through a long corridor, is an enormous venue in itself, with bedrooms to sleep 14 people, a dining room, kitchen and a living room that's bigger than some other wedding venues that I've visited over the years! 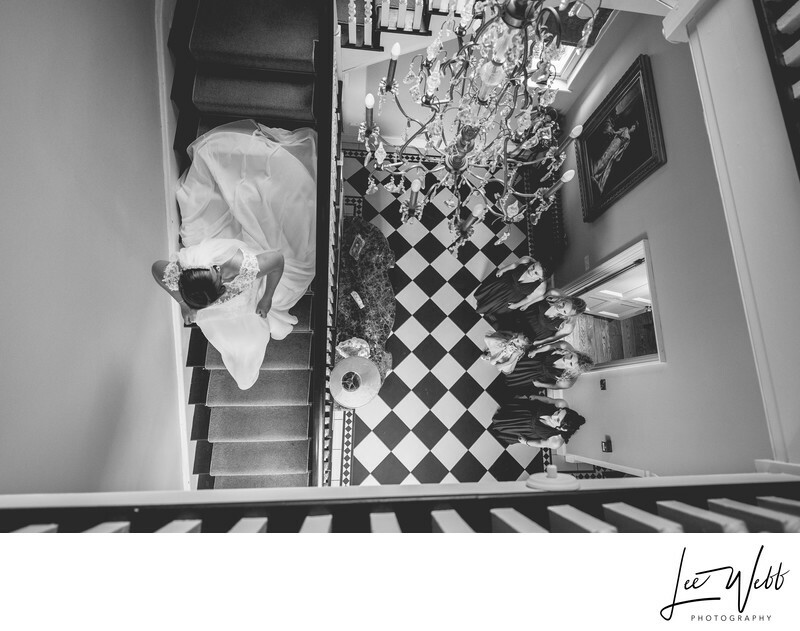 One of the highlights of Stanbrook Abbey's Brides' Manor is the central staircase that links the various parts of the house together. Not only is it a great place for portraits, but there are fantastic opportunities for some stunning reportage wedding photos like this. The bride and bridesmaids had been getting ready downstairs all morning, but Heather had to go upstairs to the master bedroom in order to get her wedding dress on. Whilst she was changing, I could see the bridesmaids and flower girl gathering at the bottom of the stairs, waiting to get a glimpse of Heather in her wedding dress for the first time. I positioned myself at the top of the stairs, put a wide angle lens on the camera and waited for events to play out naturally. The black and white conversion works really well in this image - the white of the brides dress contrasts with the dark red of the bridesmaids dresses, and the stunning black and white floor tiles provide a dividing line between bridesmaids and bride. 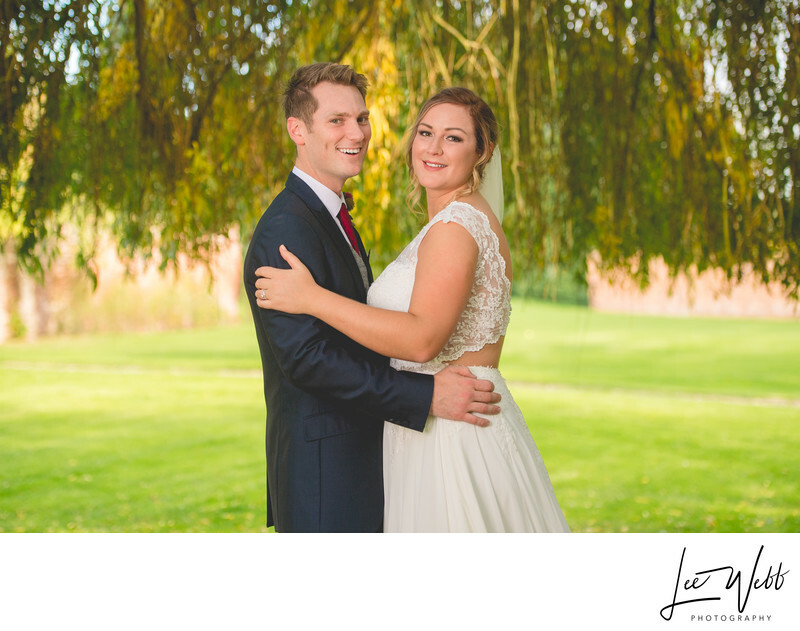 Heather and Craig had an amazing wedding at Stanbrook abbey, and we were lucky to have such good weather for a wedding late in the year.